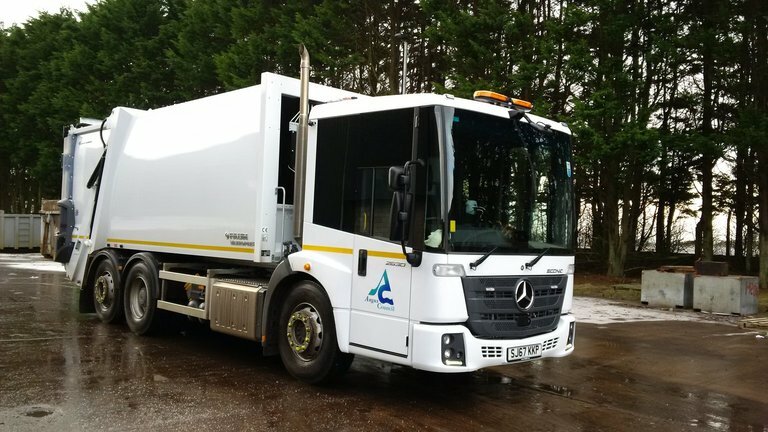 Waste, recycling and cleansing vehicles belonging to Angus Council have been fitted with vehicle camera recording systems and reversing radar to protect the public as well as guard against bogus insurance claims. Tayside Contracts, a local authority contracting organisation, is responsible for the repair and maintenance of vehicles for the council. The vehicles are fitted with the RX3 hard disk recording system and reversing radar from leading vehicle safety technology company, Innovative Safety Systems (ISS). The technology helps to keep the public safe with the cameras providing 360° visibility around the vehicle. The recorded footage is very useful for crew training and to ensure health and safety best practice is being adhered to. A leading vehicle safety technology company ISS designs, supplies and maintains vehicle safety and efficiency equipment, most of which is manufactured here in the UK. Its product range includes Cyclear™ (Cyclist Safety Warning Device), 360 Vehicle Camera Systems, Hard Disk Recording, Remote Footage Download Systems, reversing radar, fuel saving modules, vehicle-tracking systems, LED lighting and warning beacons. ISS is currently launching its latest innovation and the second product in the ‘Clear’ family – Reaclear – a revolutionary reversing aid designed to eliminate reversing accidents.